There was a time a few years ago, when I looked in the mirror and realised I was losing my hair quite quickly. I really needed hair loss treatment, and fast! My hair had always been very fine, and because of this I used rollers to help increase the body of the hair. But, there I was checking out my lovely golden locks when I noticed there wasn’t much left … and (horror upon horrors) I noticed bald patches around the back of my head. It was difficult to know what to do, never having been in this position before. But I chatted to some of my friends and told them my woes. One friend suggested I visit David Satchell, the Trichologist, and see if he could help me. As the salon was only a few miles away I decided to make an appointment. The main thing I learned at that point was the fact that eating RAW fruit and vegetables as much as possible was very important. David Satchell then went on to explain about something called “Live Enzymes” – and no, I hadn’t been aware how important these are. It turns out that we are born with a finite number of live enzymes, and by the time we are about thirty-five we have used up our allowance, and then need to rely on a really good diet together with a good food supplement. Cooking destroys enzymes (something else I was not aware of) and so does freezing. 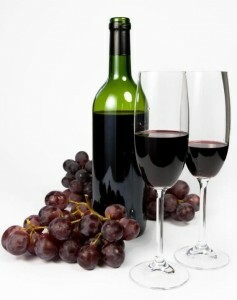 Therefore the more raw food we eat, the better. After this extensive consultation David asked me if I would like to have a scalp treatment to try and halt the hair loss, and start the re-growth again. Naturally I agreed, and I was amazed how thorough and yet simple, this treatment was. First of all David cleansed my scalp thoroughly with cleansing lotion, followed by applying a cleansing balm and heat treatment, together with a lengthy scalp massage. I found this to be very relaxing indeed. Then it was over to the basin for the shampoo – a totally natural product of course (as are all of the Eucaderm hair products). The shampoo fragrance was lovely. 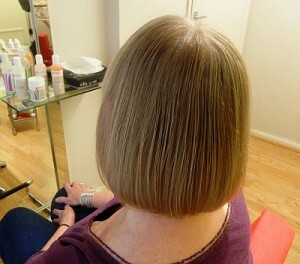 Then David treated my scalp with the Hair and Scalp Stimulator – a colourless liquid (mustn’t get that in my eyes!) followed by a cold water blast from the shower-head. Then came more massage – then more cold water – then more massage, and so on. The cold water was quite a shock to the head! Then finally came the conditioning. I was told this was made from pure essential oils (that was why I loved the fragrance!) David told me he has three different types of shampoos and conditioners, for different scalp problems. David suggested I take home the Eucaderm home-care pack, which consisted of shampoo, conditioner and stimulator, together with a supply of the Eucaderm food supplements, TN25 Live Enzymes. I went to the Eucaderm Clinic every week for about two months for more treatments. David noticed my hair re-growth started very quickly, after about a month. Very soon I could feel the hair becoming thicker. I carried on the treatments each morning at home; yes – the cold water treatment too! 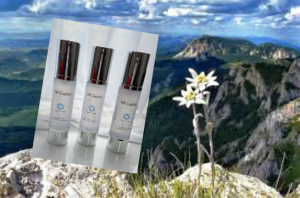 All this sounds very involved, but I can honestly say the hair loss treatment I was given really did work, and it was really good to know that the Eucaderm products are completely pure, natural, and non-hormonal. 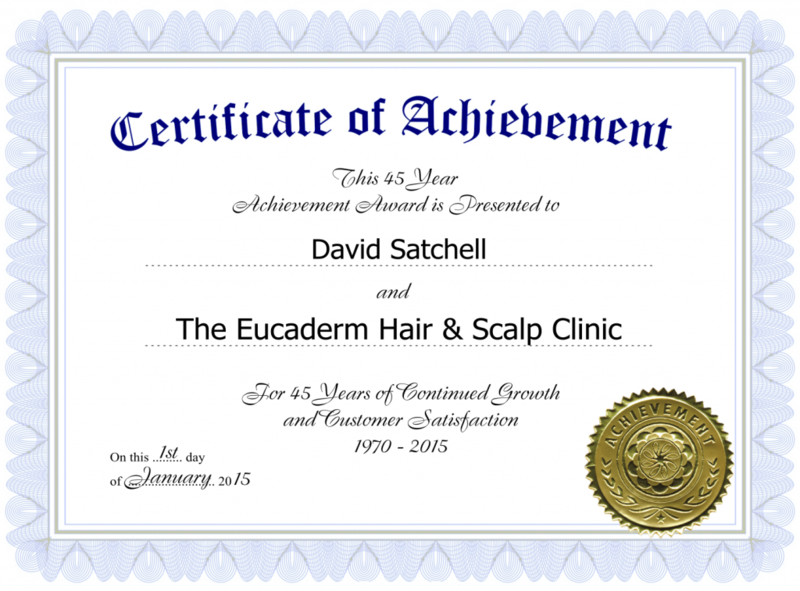 I would totally recommend David Satchell and the Eucaderm Clinic. 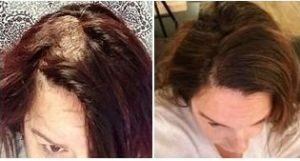 I believe they have over 70% success rate for curing alopecia, and Eucaderm clients come from all over the World. In fact, I heard that he had someone all the way from Israel last week. 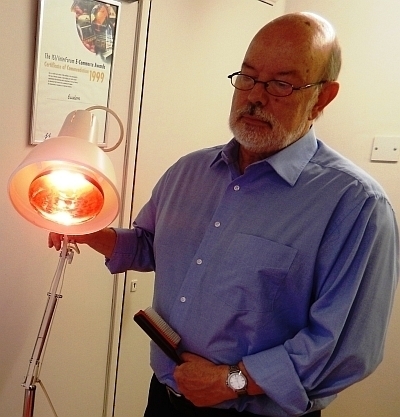 David has had over forty years of experience, and it shows in his hair loss treatments and expertise. This is a photo of me, taken very recently after my treatment with David Satchell. I’m sure you will agree it does look pretty good. And yes, I am very pleased with the way the Eucaderm treatment has banished my hair loss! 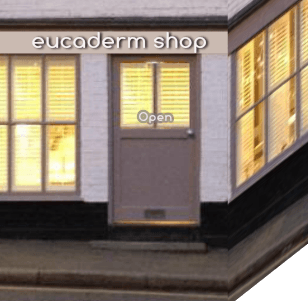 As a footnote, I also know that it’s possible to use the Eucaderm products in your own home – no need to visit the Clinic at Eastbourne if it’s too far to travel. 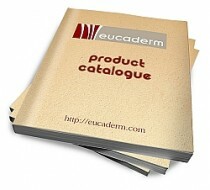 It’s very easy to use the Eucaderm Shop for mail order. Oh and watch out for the new hair colours David Satchell is working on. They have none of the nasties in them. Fabulous! !